We have heard it already. Some (okay... quite a few) of our jobs may be at risk of being taken over by robots or some sort of artificial intelligence in the next ten years. 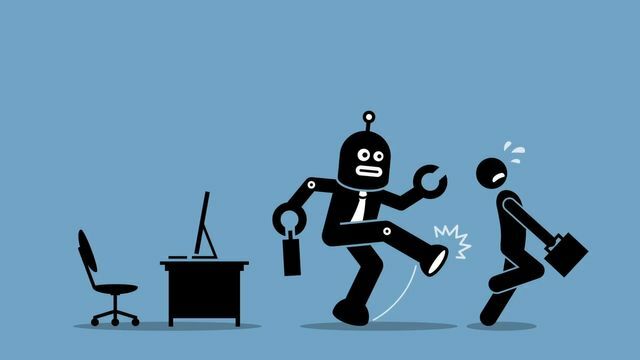 Some jobs have already been taken over by AI and we may not have even recognised it (or dare I say, we might even prefer it in some instances): Self-service stations; automated phone options and internet shopping to name a few. Surprising! Apparently, vertical farming will outpace land farming in the next 10 - 20 years. Lab-grown meat (I know...) will also affect cattle farming. Perhaps one of the more shocking figures of the blog: Over 60,000 Foxconn (current Apple & Samsung supplier) employees were replaced with robots in 2016! New materials. 3D printed homes. Growing use of technology. Whilst saving some trees, this will also cause a decline in the need for the human workforce. With the increase in mobile and internet banking and cash points being able to offer more options for the consumer, the need to physically go to a bank is slowly declining. Whatever the role, businesses and their employers are going to be needing to strategise and be one step ahead of the inevitable change. Businesses need to be aware of their employees' rights, and employees need to be able to have a full and frank conversation with their employer about their development within their businesses in the coming years.